APB: Who Killed Navy SEAL Marcus Luttrell’s Dog? Punks murder American hero’s dog. Mug Shot photograph of Michael Edmonds wanted for investigation of shooting death of multiple dogs in or near Huntsville, Texas. 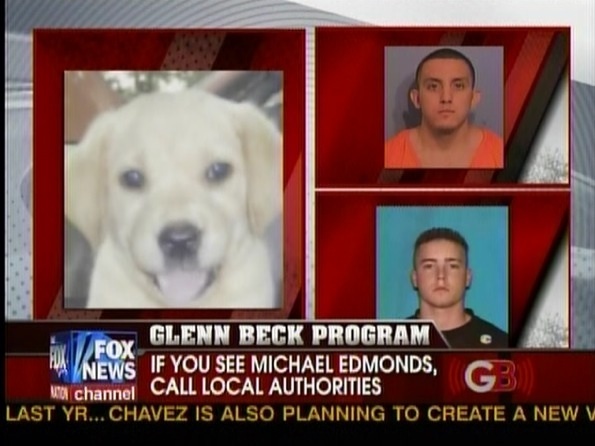 APR 06 2009 — Warrant out for arrest of Michael Edmonds for the shooting death of Marcus Luttrell’s yellow lab, DASY. Each letter D A S Y represents one of the members of Marcus Lutrell’s Navy SEAL team. If you have any information about the whereabouts of Michael Edmonds, call the Texas Rangers, Huntsville, TX (Texas Department of Public Safety) 936-435-0152. Ask for officer Steven Jeeter. Another number given out Tuesday for those who might offer helpful information about this investigation is the Walker County Sheriff’s Department … 936-435-2400. Two Suspects connected to death of Marcus Lutrell’s dog DASY. The suspect (Alfonso Hernandez) in the upper right of the television image is in custody. On Thursday about 1:00 a.m., Marcus happened to be awake and he heard a gunshot. He lives on a ranch with his mother in Texas. Luttrell grabbed his gun and went outside to find four young men 18 to 24 years old. They had just shot his dog, DASY, who was given to him in recovery to help him through the recovery process of returning from combat in Afghanistan. The Navy SEAL did not shoot the offenders, but a truck-car chase began at speeds of about 100 mph that crossed four counties until a police road block stopped the offenders. 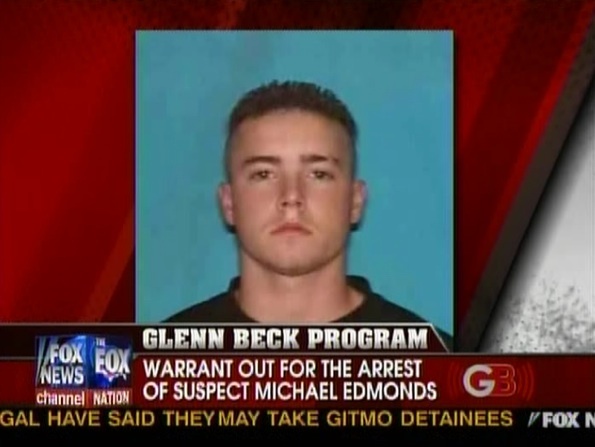 During the chase Michael Edmonds got away.